Chief Investigator Tony Kovaleski uncovers a secret rodent infestation at an East Bay food distributor, prompting the California Department of Public Health to shut down the facility and request a national recall. Originally aired 7/24/12. Two former San Francisco Herb & Natural Food Company employees claim that products contaminated by dead mice, rodent feces and urine are regularly resifted and repackaged for sale to unknowing customers. They spoke exclusively to Chief Investigator Tony Kovaleski during a two-month NBC Bay Area investigation. The whistleblower said he quit his job in June partly because the company failed to properly address a massive rodent infestation, and that he turned to NBC Bay Area to expose the secrets inside the walls of the Fremont-based tea, spice and natural foods distributor. Fremont-based San Francisco Herb & Natural Food Company issues a nationwide recall of 16 products following an ongoing investigation by NBC Bay Area Chief Investigator Tony Kovaleski. This video aired on 7/25/12. He provided NBC Bay Area with exclusive photos and video from inside the Fremont warehouse located just off Highway 880 next to the former Solyndra plant, which show rodent droppings on the floor and on bags and pallets of product. One photo shows what appears to be a mouse inside of a barrel that holds a food product. 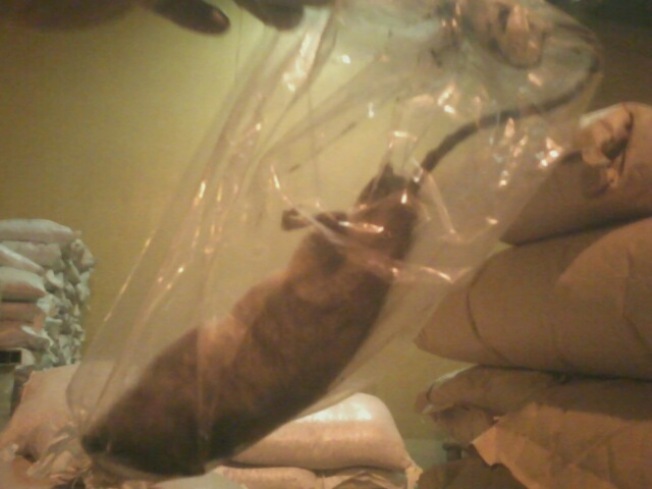 Another picture shows a rat inside of a clear plastic bag. The second whistleblower said that the sales number on the bottom of the documents means that the products were meant for a customer. “After they sift out the droppings they package it up and ship it out,” he said. He also said that the initials “FN” on the upper left-hand corner of the documents mean that a supervisor gave the orders to sift out the rodent contamination from the products and repackage and resell it. Owners Barry and Kristi Meltzer declined interview requests when Kovaleski visited the Fremont warehouse. Through their attorney, the couple said that they have no comment. Patrick Kennelly, chief of the Food Safety Section of the California Department of Public Health, viewed the photos given to the Investigative Unit by the former employees. He said the state is investigating whether the company resifts contaminated food products and sells it to the public. The company recalled 16 products after the Investigative Unit uncovered the filthy conditions inside the facility. The recalled products range from carob powder and fennel seeds to green tea and hops flower to spearmint and thyme leaves. In a recall notice, the company urged customers who have bought the recalled products to destroy them. Look in the document bin on this page for a complete list of all recalled products. Many of the recalled products are not purchased directly by consumers. Instead, they are mostly used by food manufactures in the production of baked goods, teas and other items for sale in stores. The company sells to local bakeries, large businesses across the nation and to customers throughout the country on its internet sales site. 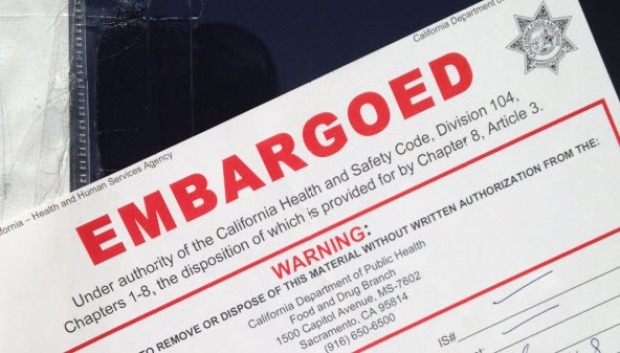 A public relations firm recently hired to field media inquiries into the recall said that San Francisco Herb and Natural Food Company is privately notifying customers who have purchased recalled products. No illnesses have been reported in relation to the contaminated products, according to the company. "Until they have successfully and completely eradicated the pest problem we're not going to begin the process to get them back in operation,” Kennelly said. The state health department urges anyone with concerns about a dirty food facility to call the Food and Drug Branch complaint hotline at 1-800-495-3232. If you have a tip for the Investigative Unit, email theunit@nbcbayarea.com or call 888-996-8477.